This festive plum chutney will be a great accompaniment to almost any dish. Put the plums, cranberries, onions, garlic, vinegar, ginger and spices in a large saucepan and stir well. Slowly bring to the boil, then reduce the heat, cover and simmer for 10 minutes, until the plums are tender. Stir in the sugar and salt and keep stirring until it has dissolved. Boil the chutney for 20 to 30 minutes, uncovered, until it is thick and pulpy. Stir occasionally to prevent it from catching on the bottom. Remove the star anise with a teaspoon. 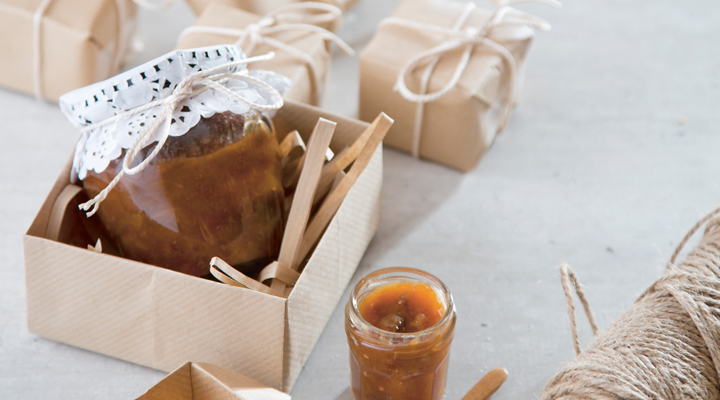 Pot into sterilised jars, seal, label and store for at least two weeks before eating. This will keep for up to six months in a cool dark place.